BENESTRA Review 2019: Is BENESTRA a Good Hosting? BENESTRA is not your typical shared web hosting provider. The closest this telecommunications company gets to web hosting is its virtual data center, colocation, storage, network storage, and backup storage solutions. BENESTRA is a Slovakian telecommunications company that offers quality voice, internet, hosting, and data services. It entered the market in 1999 and later (in 2006) merged with five other specialized firms to provide dynamic telecom services and solutions at competitive prices. Let’s be clear. BENESTRA isn’t your typical shared web hosting provider. It operates at the much lower level of providing telecommunications and internet infrastructure, and the closest it gets to web hosting is the provision of virtual servers, colocation services, storage, network storage, and backup storage solutions. The BENESTRA website can be accessed in the Slovak and English languages. The Virtual Data Center (VDC) solution provides you with a dynamic, scalable, virtualized environment that you can access on a pay-as-you-go (PAYG) basis. 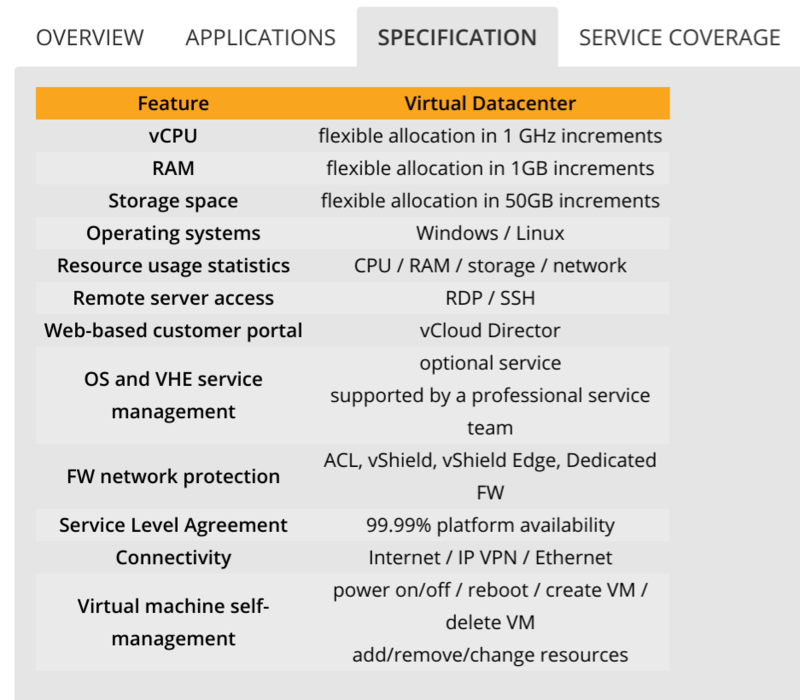 You get a ready-to-use virtual server with your choice of Linux or Windows operating system pre-installed. You can specify your required CPU power (in 1 GHz increments), RAM (in 1 GB increments), and storage space (in 50 GB increments). You can manage your server using vCloud Director, you can access it via RDP/SSH, and you have the power to power on/off or reboot. I’ll skip over the colocation services that should be relatively self-explanatory, to go straight to the various storage solutions. The Storage solution is aimed at customers who want storage pool capabilities for enterprise servers, applications, and data. The SSD, SAS or SATA storage is scalable from hundreds of gigabytes to several terabytes. Network Storage is remote storage space that can be accessed from virtual and colocated servers. You get from 200 gigabytes to several terabytes of storage in a Tier 3+ ISO 27001:2013 data center. Backup Storage provides an automated disk-to-disk data backup and recovery service with an easy-to-use interface that allows you to back up to (and restore from) a BENESTRA virtual data center or a virtual environment outside of the BENESTRA network. BENESTRA’s modern Tier III (some parts Tier IV) data center is among the largest data centers in Slovakia, and all the aforementioned solutions are backed by a 99.99% availability SLA. This is not the kind of company that offers standard shared web hosting plans to be purchased entirely online. If you’re interested in any of the virtual server or storage solutions, you have to contact the company for a quote. You are invited to make contact initially via an online contact form, which is linked from the various solution description pages. Alternatively, the ‘Contacts’ page provides telephone numbers and email addresses for the company’s headquarters and branch offices (all within the Slovak Republic). BENESTRA is not your traditional shared web hosting provider, but it does offer a range of virtual server, colocation, and cloud storage solutions. You can even test the company’s cloud environment for free by connecting up to two preconfigured virtual servers (Windows and Debian) using the browser-based vCloud Director and/or the VMware Remote Console. 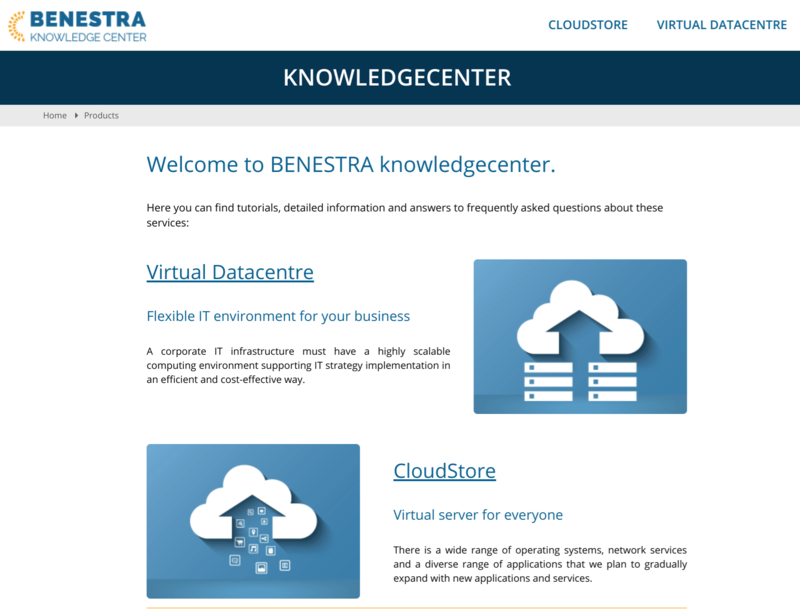 For scalable Slovakian virtual server and storage solutions, make a beeline to BENESTRA. Wondering how BENESTRA stacks up against other Web Hosting companies? Enter any other Web Hosting company and we will give you a side-by-side comparison.